💜crossin over. The service is so amazing. ALL GLORY TO GOD ! THANK YOU LORD GOD FOR BLESSING US ALL INTO 2019 SAFELY ! PLEASE BLESS EVERYONE IN THE CONGREGATION ALL AROUND THE WORLD AND PLEASE CONTINUE TO SEND OUT YOUR DISCIPLES TO BRING IN YOUR SERVANTS ! ALL GLORY IS YOURS GOD THANK YOU FOR THE MAN OF GOD PASTOR CHRIS AND THE MINISTRY ! THANK YOU FOR ALL YOU HAVE DONE IN MY LIFE AND FOR YOUR HOLY SPIRIT I PUT MY LIFE IN YOUR HANDS AND THANK YOU FOR ALLOWING ME TO FUFILLL THE PURPOSE YOU HAVE FOR MY LIFE ! I LOVE YOU ! AND MAY WE ALL CONTINUE TO KNOW YOU BETTER ! THANK YOU FOR ALLOWING 2019 TO BE PROSPEROUS YEAR FOR US ALL ! ALL GLORY TO GOD ! THANK YOU ! God I thank you for pastor christ thank you for using him teaching me your word for correction,reprove am bless in the year of the supernatural. Waiting for the word for 2019. Ready to receive Rhema Word, Hallelujah! Thank you Pastor, myself and my family are following the 31st Night service via live broadcast from Lagos Nigeria..
Que Deus lhe abençoe pelas suas pregações! Thank you Pastor for the word, am so blessed i love you God bless you. God continue to strength you sir. Thanks GOD. Please Pastor remenber us in Togo. We are waiting for you. Thanks. 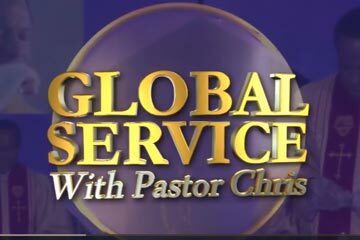 Thank you Pastor for "Your Loveworld "
Thank you so much Pastor for the teachings. #tag praying now #from cameroon. prayer request.pastor sir,i need financial Blessing.pls pray for me Bless me. PASTOR sir thank you for this programme please Bless me with the fruit of the womb,job and Divine health.thank you. Am So expectant for the rhema word of God! Glory! 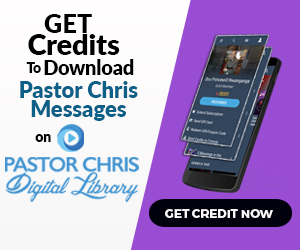 Dear Ps Chris! Thank you for your amazing love and obedience. Please pray I need to start my Ministry and understand what God wants me to do. I need to hear what God has for me. I am waiting on my home, and my daughter to come home.